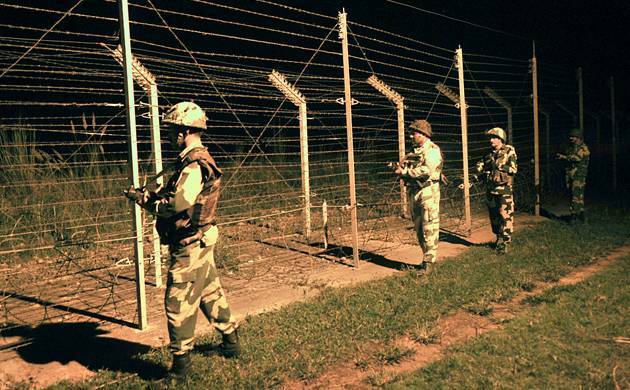 In a cross-LoC attack by suspected Pakistani terrorists, three Indian soldiers were on Tuesday killed, with body of one of them being mutilated in second such incident in less than a month, triggering outrage in this country. The ambush on army patrol took place in Machhil sector of Kashmir, following which the Indian army vowed heavy “retribution”. “A counter-infiltration patrol party of Indian army was ambushed by terrorists ahead of the fencing along LoC in forest belt in Machhil sector in Kupwara district today,” a senior Army officer said. Three soldiers were killed in the attack, he said, adding the body of one of them was mutilated. A Defence spokesman said heavy cross-Line of Control shelling was going on at four places in Machhil sector from 3.30 pm. “Around 1530 hour, heavy cross-LoC shelling has started from both sides at Dana Machhil, Ashni, Ringsar and Ringsar Payeen in Machhil sector of Kupwara district,” he said. This is the second such incident of mutilation of the body of an Indian soldier in the same sector since October 28. On that day, terrorists, aided by the cover fire by Pakistani Army, had crossed the Line of Control and killed an Indian army jawan and mutilated his body in the Macchil sector. One attacker was killed in that incident.